A man just attempted to light himself on fire at the north fence line of the White House. The man, Alexander Fernando Rico, had a CPAP machine and was in a motorized wheel chair. Rico attempted to light himself on fire around 2:45 p.m., but it was quickly extinguished by police and Secret Service at the scene. A source tells the Gateway Pundit that he had a bag with him that was deemed suspicious so Explosive Ordnance Disposal (EOD) Technicians are currently on the scene screening the package. The White House was put on lockdown and media was told to stay inside. He is currently in Secret Service custody and being treated by medics. 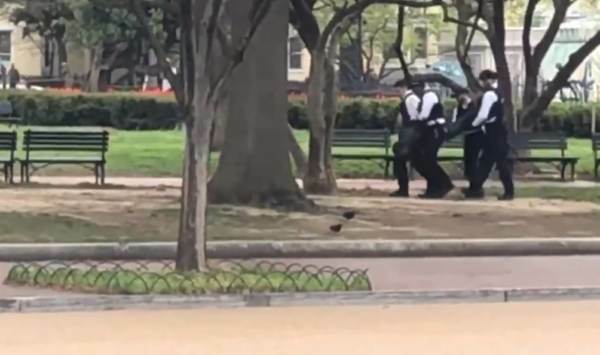 The post Man in Wheelchair Sets Himself on Fire Outside the White House appeared first on The Gateway Pundit.